LISA is responsible for several photochemistry experiments of molecules of exobiologic and planetologicinterest, spatialized in low Earth orbit. Their objective is to better understand the nature and the evolution of organic matter and biomarkers present in extraterrestrial environments (including comets, Mars and Titan), when exposed to solar radiation. 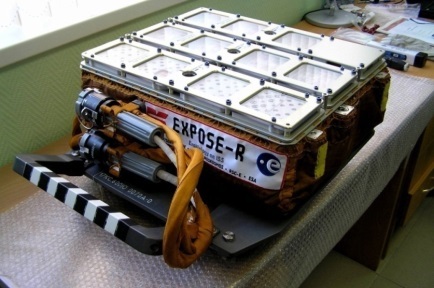 These experiments are held on different platforms of exhibition, under the responsibility of the ESA, for which it was necessary to develop open or closed cells exhibits. Recently, a fourth PPS experiment (Photochemistry on the Space Station) has been selected by ESA for early 2012 to be exposed. The first three experiments are a collaboration between LISA, LATMOS, the center of molecular biophysics of Orleans (CBM), ANBioPhy, with the support of CNES. The PSS experiment is a partnership between LISA, LATMOS, CBM, the Observatory of Bordeaux, the Institute ofbiomoleculeMax Mousseron (IBMM), and NASA AMES, always with the support of CNES. The PI (Principal Investigator) of these projects is Hervé COTTIN (LISA).